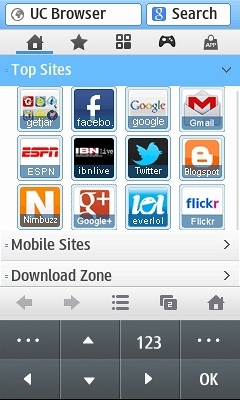 Sir,UC Browser is not open any application in my mobile LG SET S-365. ” WAP Review “(menu) does not show on my mobile display. Plz help me thanku. i hve ucbrowser 9.2 version,but it’s not working.i try to download above given the website. I used it once,it was very easy to use nd fast.But 4 long tym now culdnt download it since it expired off my phone. Create an account at gravatar.com and upload your avatar there. Be sure to sign up at Gravatar with the same email address that you use here or it won’t work. It’s fast. Try it and see. my uc browser is not working. The display is always error. The make and model of phone. Is the problem with installing UC, opening specific pages, opening all pages or something else? Exact error message, if any. No settings needed. just install and run.